As the weather gets warmer, I’m thinking about ways of dealing with this for my first Socal Summer. With the Miata, well it’s just top down and cook. 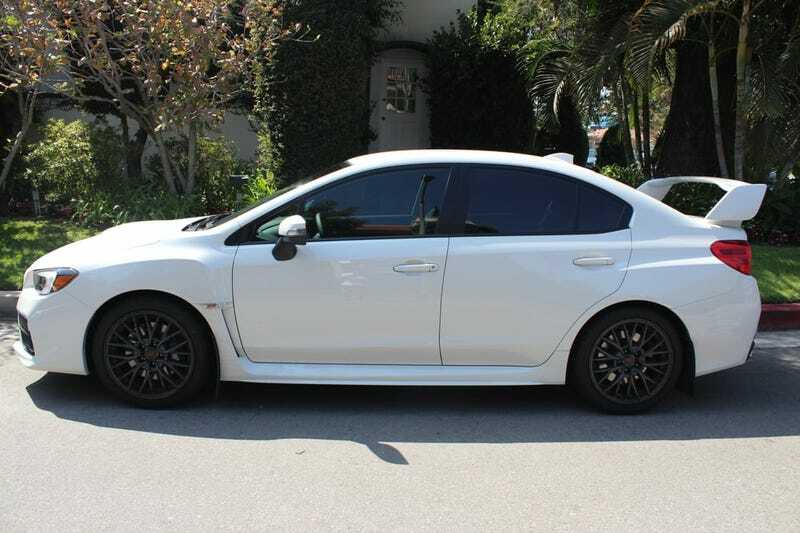 But with the STi, I figure a professionally installed mild window tint with a heat rejection film would be a good idea. I can’t stand super dark tints (like in the photo above) and I would like to keep it legal and have the same tint on all windows. So that would put me at a 70% tint on all windows. I find tinting looks especially good on a white car and if I got the right film, it should substantially make a difference in interior Temps. Now I have to figure out what that would cost and how to find a reputable shop. Diy application seems tempting but I’d really rather it be done right. California allows any window tinting apart from the windshield and front windows but I always think uneven tint looks incredibly dumb. Plus I like being able to actually see at night anyways. From quick googling, tinting usually runs $100-400 but I definitely want good film that will last and I want it done right. So it will probably end up at the higher end. I’m sure in July though, it will be well worth it if I end up driving up into the high desert where 115F+ is common.